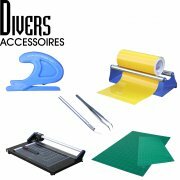 A complete range of plotters for cutting the vinyl (flex, flock…) for heat transfer on the textile and the adhesive vinyl for different visual communication works. 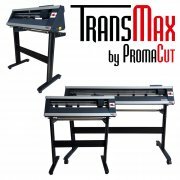 Exclusively designed by Promattex International, PROMACUT cutting plotters combine speed and accuracy with always competitive prices. This entry level range of plotters is ideal for customers who want to start in textile heat transfer like flex, flock and printable materials and adhesive vinyl cutting. version which enables to make a direct designing and to import logos from Corel Draw or Ilustrator softwares. 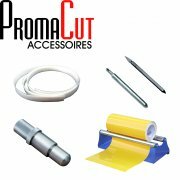 Furthermore, Promattex can provide your numerous accessories and materials (blades, holders for tools, Teflon tapes, roll holder) with extremely competitive prices.